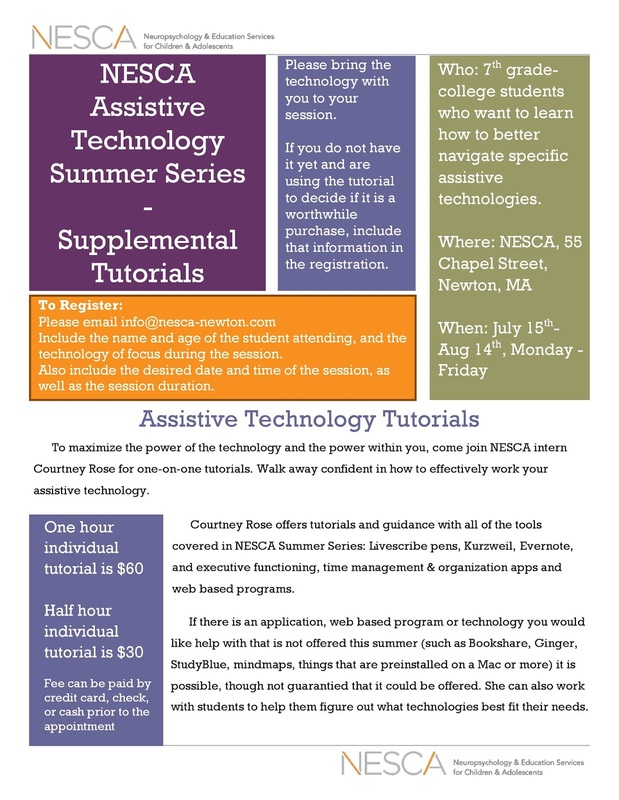 Call 617-658-9800 or email cdykeman@nesca-newton.com for additional information or to schedule an appointment. Courtney Rose Dykeman-Bermingham is a rising senior majoring in Neuroscience at Mount Holyoke College and is completing an internship at NESCA. She is training to become a clinical neuropsychologist herself. Currently, she volunteers at her college’s AccessAbility Services (AAS) office. In that position, she works with students as they transition into college life and work to overcome difficulties related to their disabilities. 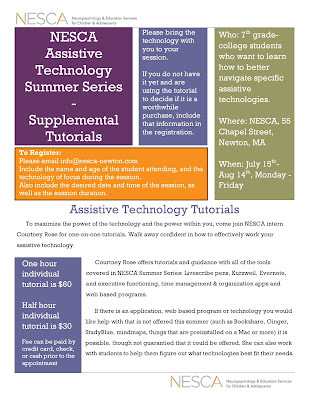 She has also conducted workshops and tutorials on the uses of assistive technologies.